You are buying VetriScience Vetri Same 225mg Tablets For Dogs 30ct, model #0900332030 at ADW Diabetes, we offer a wide range of pet dietary supplements geared towards helping your pet achieve optimum health. We offer these supplements in both single and discounted bulk packs with the goal of helping you save even more. Shop with ADW Diabetes for all of your pet health supplement needs. 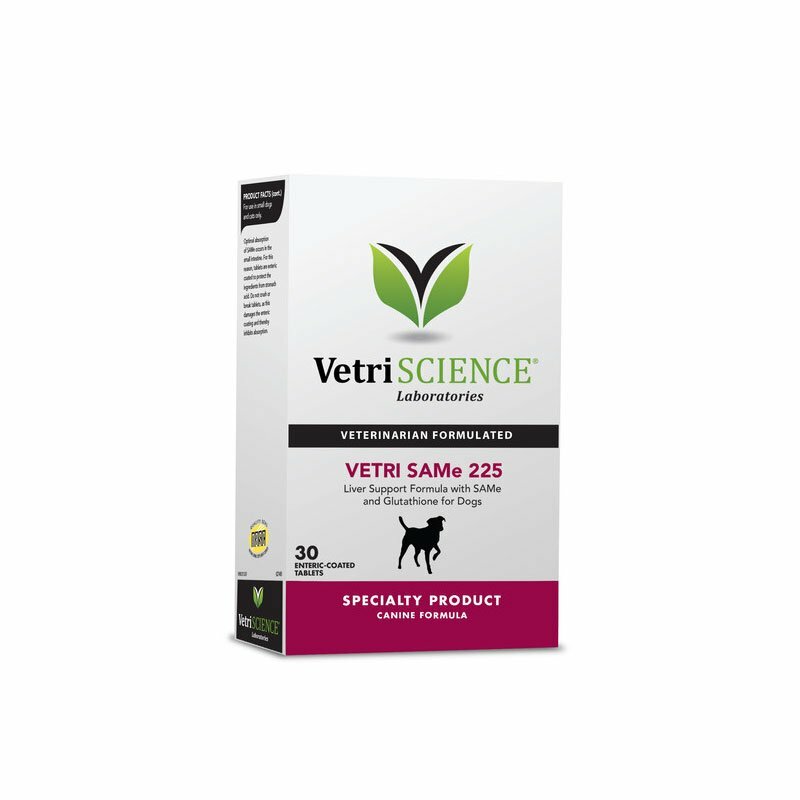 The VetriScience Vetri Same 225mg Tablets For Dogs 30ct combines the synergistic benefits of S-Adenosylmethionine (SAMe) with the powerful antioxidant Glutathione, making it an advanced formula for liver support. Optimal absorption of SAMe occurs in the small intestine. For this reason, tablets are enteric coated to protect the ingredients from stomach acid. For use in dogs and cats only.